Getting up and running can be daunting. Dalziel & Company can help. Outlined below are some tools that Dalziel & Company either uses ourselves or has reviewed and recommends. Subscribe to be notified of new tools & resources. I'm not quite sure how D&Co would run without Google's suite of intelligent apps. We use Gmail for Business and Google Hangouts to stay in touch with our clients and network; Google Calendar, for project planning and scheduling events; and Google Drive for document management and storage. Ever run into that situation where one simple, 'Are you available on Monday at 2:00p?' email turns into a thread that probably lasts longer that the meeting itself? YouCanBook.me solves that! A simple integration with Google Calendar and you can easily outline your available times so clients and prospects can conveniently book time with you. Click on the logo above to watch their demo. D&Co uses this service ourselves. No creating and chasing monthly invoices! This service is ideal for selling membership or recurring subscription services; our clients input payment info once and are automatically billed on our recurring schedule. TIP: Inform your clients in advance so they know the payment will be auto-billed from the card they use. Click on the image above to learn more. If you're currently based in Europe OR have any clients in Europe - you'll need to know about the EU General Data Protection Rules (GDPR) and how it might impact you come May 2018. Check out the helpful tips that D&Co Network company, Business Brew put together by clicking on the image above. Ever wondered how much an entrepreneur actually makes? Check out this video by Noah Kagan, founder of Sumo.com, where he will walk you though each of his corporate job salaries and how much he made as an entrepreneur. The results might surprise you. Definitely a must-see for anyone considering working for themselves. 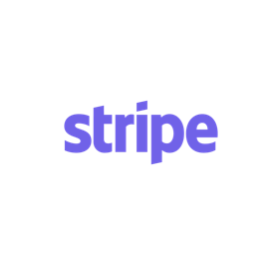 Stripe is a way for businesses to accept payments online. D&Co has found Stripe to be incredibly efficient and seamless to use. Link on the image above to read an article about Stripe v. Paypal (by Memberful). In an ideal world, our bank account would look like Oprah's and we would be able to have personalized photoshoots for every picture need. Until that day happens, we need to rely on stock photography. Thankfully, sites like Kaboom Pics make that so much more enjoyable. Gorgeous shots. Click above to explore yourself. We absolutely love MOO, specifically their square business card option. Surprisingly, their most basic 'Original Business Card' option is very premium quality material and printing. Every time we give one of our D&Co business cards away, we always get a compliment! Click above to explore some of the options yourself and email us if you want to see pictures of our own business cards. Getting up and running doesn't have to be so complicated. Squarespace is a SAAS based CMS and website builder. You can also use it to blog or as an e-Commerce site. Individuals or businesses can set up their site. Our D&Co site was made using Squarespace. BONUS: If you are a recent grad, use your school email and get 50% off. Please note, some of the above may include affiliate links however all have been vetted and/or used by D&Co.